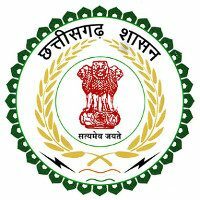 CMHO Surajpur Jobs Recruitment Notification 2018.Chief Medical Officer of Health(CMOH), Surajpur, Chhattisgarh inviting applications for the positions of Health workers.Interested and Eligible candidates can apply for the positions. Applicants must be completed 12th class / ANM / MPW from the recognized organization. Applicants minimum age limit is 22 years and maximum age limit is 40 years. Selected candidates will get pay per Rs.14,560/-. Through Online test and Interview applicants must be recruited. Applicants may apply the application form through online from 28th August 2018 to 07th September 2018. Applicants fees for general is Rs.500/-. And for OBC is RS.300/-. And for Reserved category is Rs.200/-.